August is gaming month on the musicMagpie blog! To celebrate, we’ve giving away an Xbox One when you trade in selected games (a full list of which you can find in this post). Gamers like collecting things – rings, coins, magic gems and so on. This commitment to collecting as many things as humanly possible extends to the real world too, specifically with games themselves. A shelf full of games is like a gamer’s equivalent of war medals, a visual representation of the wars we’ve fought, the races we’ve won and the controllers we’ve smashed (curse you, FIFA 14). Unfortunately, most ‘old’ games sit on shelves like glorified ornaments. They don’t get played, which effectively renders them useless. With that in mind, we’ve picked out a few common dust collectors that may be sitting on your shelf right now. Sell them for cash with musicMagpie. Modern Warfare was released in 2011 and since then, Black Ops 2 and Ghosts have been released (with a new game, Advanced Warfare, just around the corner). If you’re a Call of Duty fan, the chances are you picked this up both of those games, which basically makes poor old MW3 obsolete. Plus, let’s be honest: all of the Call of Duty games are the same and you only really need one. Grand Theft Auto IV is the black sheep of the GTA franchise, blotting Rockstar’s otherwise perfect record by being not quite as good as the games that came before (and after) it. With the release of GTA V, there’s no reason to own GTA IV anymore. It’s sequel is bigger, better and a lot more fun. If Assassin’s Creed II was a person, it’d hobble around on a stick, moan at kids and smell like Werther’s Originals. It’s that old. It’s a good game, no doubt. But when was the last time you played it? Far Cry 3 is a great game, but it pales in comparison to Blood Dragon, it’s 80-themed spin-off. Seriously, we can’t remember the last time we played Far Cry 3 because we love Blood Dragon so much. Mass Effect is the most infuriating franchise of all time. All those hours clocked up on all three games, only for EA to chuck that ending at us. We can barely even look at the boxes on the shelf, let alone pop any of the discs into our Xbox. Heavy Rain is a great game, but one playthrough was quite enough for us. It turns out creator David Cage agrees with us, stating that playing through the game more than once will ‘kill the magic of it’. There’s no denying that New Vegas is good, but we’re itching to get our hands on Fallout 4. 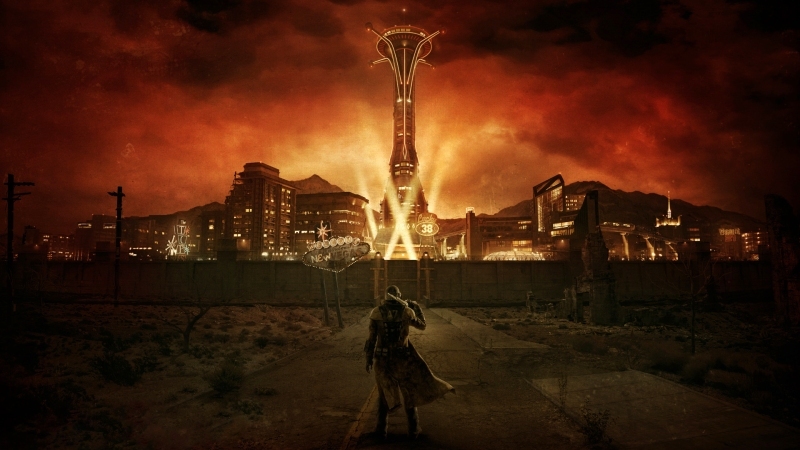 We reckon a co-ordinated sell-off of New Vegas would be enough to let Bethesda and/or Obsidian know that we’re done with the old games now and we’d really, really like the new one soon please. Whatever games you want to sell, you can get an instant value for them using musicMagpie. Get started by clicking here.